Perhaps one of the most emotional places we visited during this trip was the St Elizabeth’s Church in Wiesbaden. It also the least documented one, as photography and filming were absolutely verboten inside. 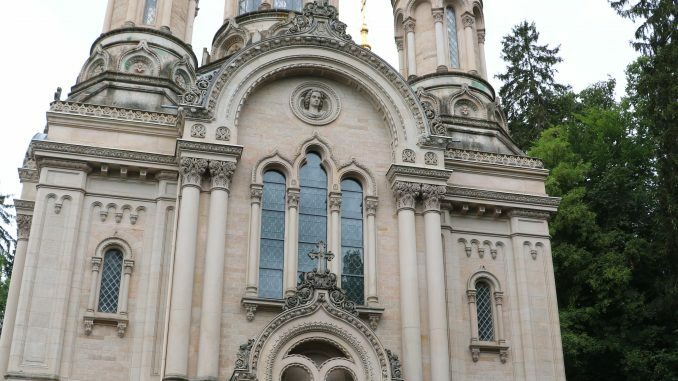 This Russian Orthodox Church was built from 1847 to 1855 by Duke Adolf of Nassau, who later became Grand Duke of Luxembourg, in memory of his wife, the 19-year-old Grand Duchess Elizabeth Mikhailovna of Russia. They had married in 1844 but Elizabeth died in childbirth the following year and the church was built for her tomb. With the blessing of Elizabeth’s father, money from her dowry was used to build the church. The church was dedicated in honour of St Elizabeth, the mother of John the Baptist on 25 May 1855. Shortly after Elizabeth and her baby girl were both buried there in the crypt. It is truly an amazing church, which lots of candles and icons and the tomb is amazing in its detail. 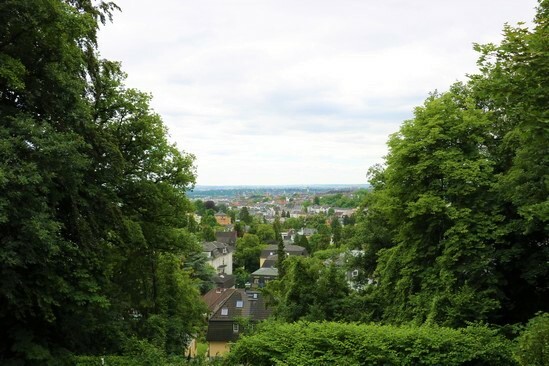 The church is built on the Neroberg and looks down on Wiesbaden. We went up by car but I noticed that there was also a small train running up and down so you’ll also be able to visit it without having to hike up the mountain. This story, as all stories go, is told in it’s own time. Life happens, and as we age, we find ourselves telling our life stories to people we love, as needed or as the circumstance is appropriate. Well, as time allowed, I remember today, and had the opportunity to do what I promised to do 3 years ago, as we were taking our daughter, Shannon, to Austria on her Franciscan Univ. Semester abroad program. We landed in Frankfurt and immediately made a pilgrimage stop to our former home in Wiesbaden Germany, to show our kids where we used to live. More importantly, we brought one of our daughters, Shannon, to visit the Shrine of St. Elisabeth of Russia, who we believe with all certainty, is directly responsible for the birth of our daughter Shannon!!!!!!! Here’s how the story goes…….. I was 23 when my husband and I married December 26, 1987. I was 26 when our first son was born, and 17 months later another son was born when I just turned 27. 10 months later after I weaned him, just before I turned 28, I began having irregular fertility cycles. My husband and I had just decided to move to Germany for his position at General Motors Corp., so before we left I saw a specialized doctor to see if I was pre-menopause. After my hormone levels were tested, the doctor said I was borderline menopause, and advised me to return in a couple years after our stay in Germany. We had the time of our lives living in Wiesbaden Germany, loved the city, loved traveling almost every weekend to some new destination, loved the people, loved the lifestyle! We were very happy with our two boys, but knew we wanted more kids to love and share life with. One evening, after having dinner with an old high school friend and her German husband, were talking about having more kids. I told her we had been trying to get pregnant but I was diagnosed with borderline pre-menopause and wasn’t sure if I could have another baby. My friend said, most likely not meaning to be arrogant, that if her husband just looked at her she gets pregnant, and laughed. But I didn’t laugh, and my desire for another baby grew stronger just then. That night, as I was getting ready for bed, I gazed out our window, overlooking the beautiful scene of the Neroburg Park and the Orthodox Church that sat on top of the 200 ft. tall hill called the Nerotal, opposite our apartment building. It looked particularly stunning that night, all lit up with its golden domes. I recalled the only thing we knew about what we loosely called the “Greek Russian Orthodox Church” was that a Saint was buried there. I never asked who the Saint was or anything about the Church or Saint. As I gazed out over the beautiful scene, and revisited the lovely evening having dinner with our friends, and remembered the feeling of desiring another baby being so strong, I said silently a little prayer to the Saint buried in the Orthodox Church; “whoever you are, please, pray to God for me, and ask Him to give me another baby.” Immediately I felt in my heart the answer “yes”. I wiped my tear away, and peacefully went to sleep. Life went on, and a few months after that beautiful night, my husband had taken another position at GM in Troy, Michigan. After 18 months in Germany, and a few months back in Michigan spent getting settled in our new home, I visited the specialized doctor again, who took more tests, and concluded I was in full blown menopause at 30 years of age! He asked me how bad I wanted another baby, and I told him we for sure were open to having more children. He told me “there have been two documented cases in the Journal of American Medical Association, that if you take a high level of Estrogen then Progesterone, you may ovulate”. He said I had “less than zero percent chance of ever getting pregnant again”, but said he could try the Estrogen/Progesterone therapy to see if I would ovulate. I responded that I liked challenges, and would try it. I never had another fertility cycle after that, even to this day! After one month of taking a high level of Estrogen and trying to get pregnant, I then had to visit the doctor to switch to Progesterone in the therapy. As I was driving to the appointment I called the nurse at the office and asked what I would have to do to start the Progesterone. She said when I arrive, I would be taught how to inject myself with Progesterone! I told her I didn’t feel comfortable with injecting myself with anything, told her I’m stopping the therapy and I was happy with being the mother of two beautiful boys. One month later, I had to lay on the couch because I felt nausea! I knew I was pregnant, I knew that feeling before and it wasn’t the flu! That afternoon I stopped by the pharmacy and bought two different kinds of pregnancy tests. I went home and took them and with immediate results, they both said “+”! I called the doctor’s office and they asked me to come in to talk to the doctor. The doctor didn’t believe I was pregnant, and gave me another pregnancy test. Two nurses told me the results were positive and congratulated me as I waited in the office. I never saw the doctor again, and he never congratulated me! I thought he couldn’t take the credit, and it really was a miracle that God needed to show this doctor that anything is possible for Him! Shannon was born July 16, 1996, and I was 32 years old. Shannon was so easy going, and she grew into a beautiful little girl, full of life, loved to give hugs, loved her brothers and everyone, and was all girl! Life went on, and then one day, I remembered about that night in Wiesbaden Germany, and the prayer I said silently to the Saint I knew nothing about! I remembered the immediate “yes” I heard in my heart in response to my little prayer. So I quickly “googled” on my computer “Wiesbaden Saint Greek Russian Orthodox Church”, and found out just who this Saint was that I prayed to ask ing God to give me another baby! 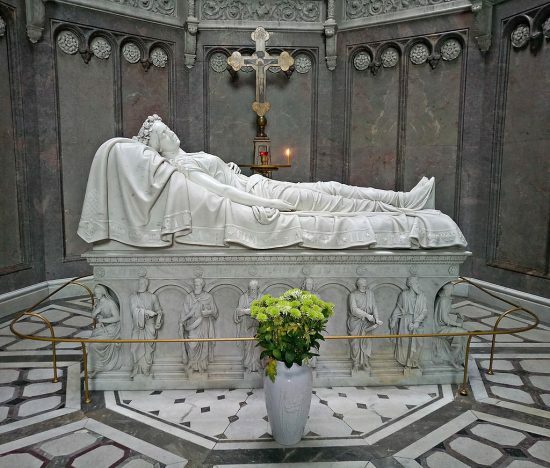 This Saint is the Grand Duchess, St. Elisabeth of Russia, who died after giving birth at age 19 to a stillborn daughter (unnamed) who is buried next to her mother in the same Shrine. 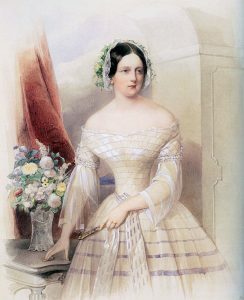 Duchess Elisabeth was born as Grand Duchess Elisabeth Mikhailovna of Russia, and is the grand-daughter of Tsar Paul I of Russia and the niece of Tsars Alexander I and Nicholas I of the Romanov family. 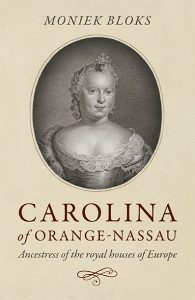 She was married only one year before dying in childbirth, her husband was distraught, and loved her very much. He used her dowry to fund her burial and build the Church to honor her and their stillborn daughter.